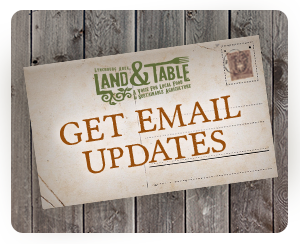 Land and Table exists to cultivate the local food movement in Lynchburg and the surrounding area. 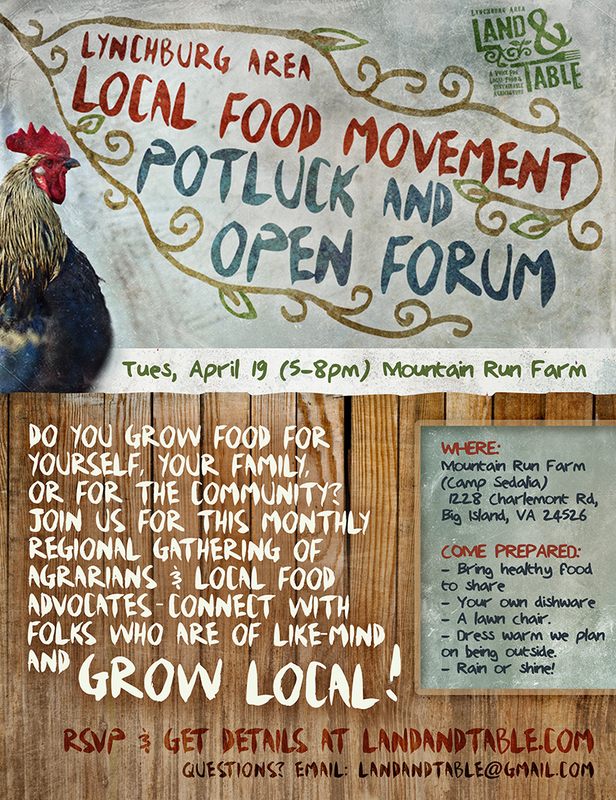 If you grow food (or want to) for yourself, your family, or for the community, join us for this monthly regional gathering of agrarians & local food advocates, and connect with folks who are of like-mind. We are a diverse group with a vision for networking sustainable farmers, gardeners, homesteaders, do-it-yourselfers, back-to-the-landers, foodies, families, students and anyone who is interested in “growing local”! 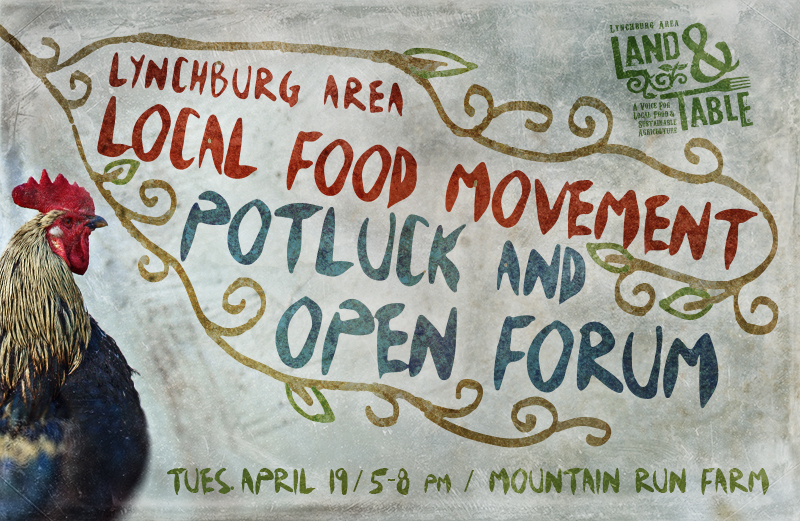 This coming Tuesday, April 19 (5-8pm) we will gather at Camp Sedalia at Mountain Run Farm in Bedford County for our monthly potluck gathering. We will hang out, we’ll eat good food, and share an open forum where we will discuss possible vision for the coming months and what you are getting your hands into as the weather warms. If you are interested in learning about how to host a Land and Table gathering please come as well – and get the details. Your own dishware (plates, forks, spoons, cups, etc – for your own use). Lawn chairs (there will be benches as well). Dress appropriately – we plan on being outside. RSVP: Here on the website or on Facebook.